So you want to have an IPO? For the next few months I am going to periodically write about the IPO process. This is a subject that has been kicking around in my head for a while. When I was a financial analyst, I participated in something like two dozen IPOs, and watched colleagues close-by work on over 100. I am by no means an expert, but I do have some firsthand experience in the process. I am not particularly proud of that work. The IPO process is messy and complicated, and this often leads to sup-optimal outcomes. I am not indicting the whole industry, nor any particular stakeholder in the process. But there are some significantly conflicting interests in the process, failure to grasp this leads to problems either at the time of the listing, or more often, somewhere down the road for the newly public company. I think there are some straightforward steps that companies can take to avoid this, and I will eventually get to those. The target audience for my posts is the executive team of private companies contemplating an IPO, and their Boards. As such, there are some areas that will get more attention and some less. If you take your company public, you will find yourself surrounded by advisers – bankers, accountants, lawyers and others. They can handle the mechanics of pricing, the filing requirements and the relevant regulations, respectively. Instead, I want to look at this as a CEO should. 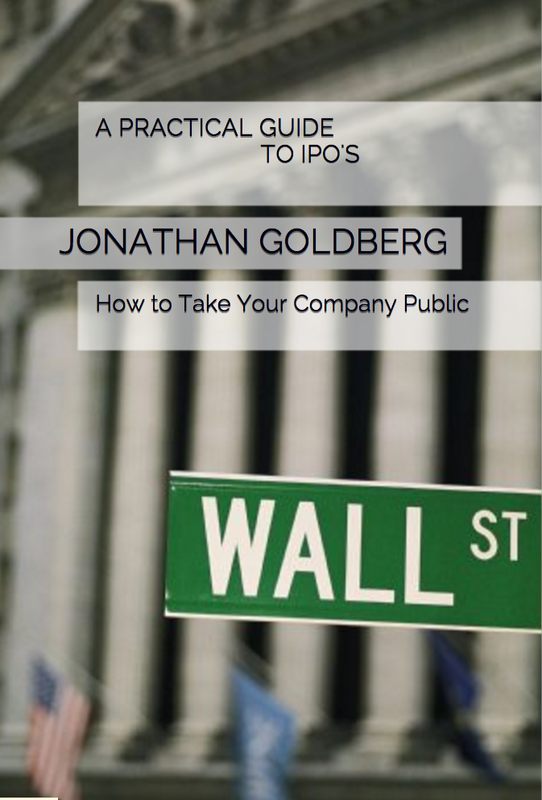 The transition from being a private company, start-up CEO to being a public CEO is hard. And unless you have done it yourself, there are few easy ways to prepare for it. Along those lines, I think the focus of your efforts should be on the long-term health of your company. Not how well will the IPO go, but what will your company look like the day after the IPO, a year after, five years after. I plan to write in roughly chronological order, following the path of knowledge about an upcoming IPO. I will start with the basic question as to whether or not to go public, both from the point of view of the CEO and the Board. Then I will examine the various groups who enter the process including the advisers mentioned above. After that, I will look at your new business partners – Wall Street Institutional Investors, sell-side analysts, the press and retail investors. By this point, my advice should be clear, but just in case I will have a section on key tactics and tools to utilize. Finally, I will have some suggestions on what to do in case things have already gone wrong, and how to fix them. Interspersed in all this I will likely diverge with some high level opinions of the whole process – why is the process so cumbersome, what are basic principles to keep in mind, and maybe some personal anecdotes about why I am doing this. When it is all over, I hope to have a book to compile which should allow me to go back and fix some of the mistake I will inevitably make in this series. As always, if you have any questions or comments please let me know. And if you need a lot of help quickly, I am open to some part-time consulting work. Feel free to reach out. This is part of an ongoing series. Here is the next post on this subject. ← What happens when (if) Moore’s Law runs out? One question: in the same way that AngelList is impacting the funding process for private companies, could AngelList similarly impact the IPO process (at a later date, of course)?